Wrought iron newel 1 ” round x 47″ tall. 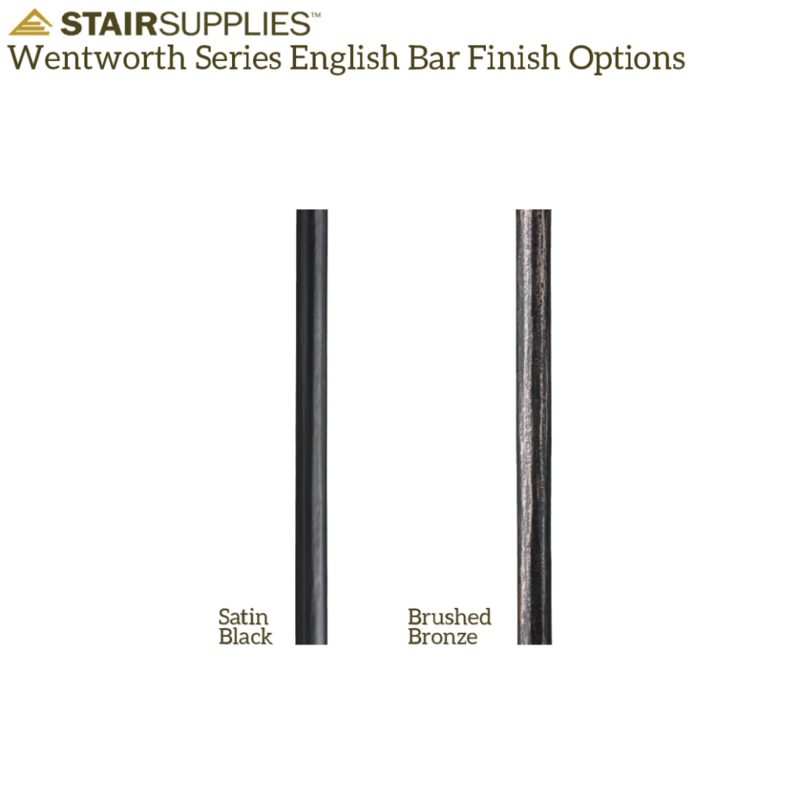 The 1.1.22 English Newel is a plain round newel with a hammer-forged texture. Available in “Satin Black” or “Brushed Bronze” finishes. 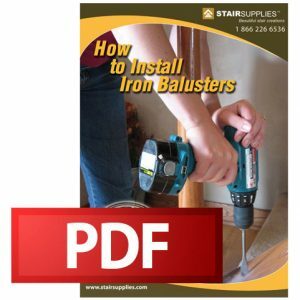 Purchase our 16.3.33 Iron Newel Mounting Kit to firmly fasten your newel to your stairs. Hi, would it be possible to get this product without hammer forged texture? Or maybe you have a similar option that will go with 16.8.1H-SB Round Baluster? Thanks for the question Yulia. Have you looked at our 16.5.8 plain iron newel? 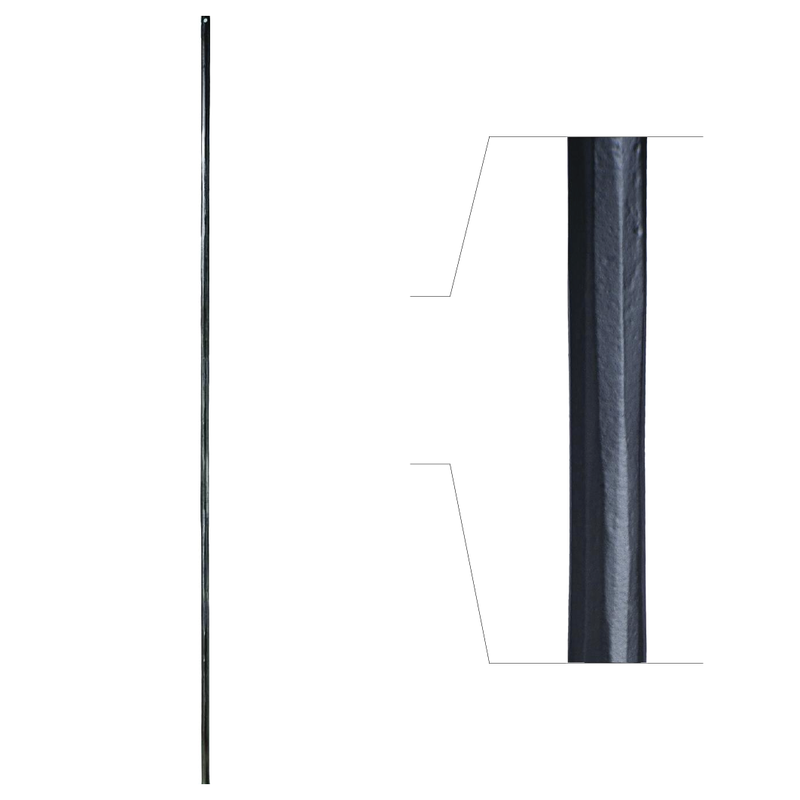 https://www.stairsupplies.com/product/16-5-8-plain-iron-newel/ that would be similar to the 1.1.22 English Newel without the hammer texture.